I have been given a Definitive Tech 8 inch subwoofer driver that was thought to be blown, but it turns out that the magnets have slipped at one point or another. The coil reads 4 ohms with a multimeter so it is for sure not blown. As far as I can tell, they are still glued together, although one magnet is significantly off center, and the backplate is entered on that magnet. I have looked for videos and forum posts about this but everything only is for getting the magnet back on. P.S. 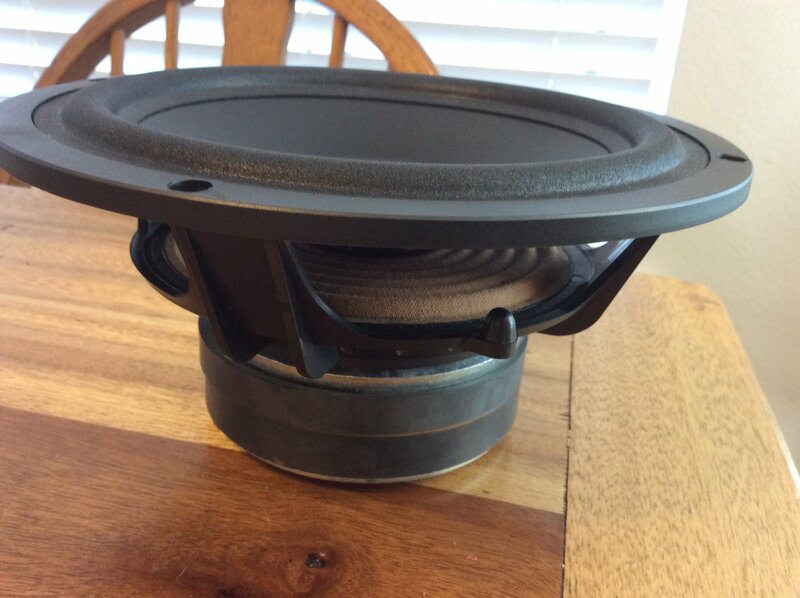 here is a picture of the sub, looks to be a quality unit with double stacked magnets and a 1.5 inch coil. To repair it, the motor has to come apart for surface prep before reassembly. Is it scratchy when pushing on the cone? Is the cone locked up? To be honest just because they're off center doesn't mean they slipped. When speakers are made the magnets are not magnets yet. They build and glue THEN they are put in the inductor to be magnetized. It is not quite locked up, it will go out just fine, and with a little bit of pressure it will go in (I only did this once when I thought it was cooked, haven’t done it again). I assumed that they slipped because I honestly don’t know what else could have happened. They came out of a working cabinet that the amp had died on (my guess was momentary short because of the coil rubbing, scratches off the lacquer, boom dead amp). It wasn’t driven hard, it was my great grandmas and she never used her TV. I also believe I have identified the driver, I think it is a DefTech Pro Sub 80, which is very well reviewed and is still being sold today for ~$500, so it’s worth fixing methinks. I’ll build a nice little cabinet for it and buy an amp, fun project. Do you think I should try to remove the dustcap so I can see if anything’s amiss in there? If it don't freely move its toast. Can’t I just somehow remove the magnet and center the pole-piece? The coil reads good and it can move, but it takes a little pressure. This sub was my great Grandma’s before she got a soundbar and she never used it, for the first 3 years of her ownership it wasn’t even turned on. It has never taken any kind of abuse, or anything, just this. I don’t know what cause this, but I find it hard to believe that it just burned up even though nothing happened to it. If it’s locked up, does that mean the coil is deformed? By the way, I’m not saying you are wrong, I’m asking for explanation for why it’s toast. If the coil tests good and the cone still moves a bit, it's not toast. If you want to fix it properly, the pole plate must be removed from the magnet. then ideally the magnet should be separated from the basket base plate, all surfaces cleaned and then center the magnet to the voice coil and affix with red Loctite. Allow to dry over night at least, before affixing the pole plate in the same manner. I recommend that prior to all this, you find a piece of PVC that fits around the magnet so that a jig can be made to center the pole plate. The fresh Loctite will allow you to position the plate before it cures. Have an amp ready with a sine wave generator app on your phone and sweep between 5 and 20Hz making adjustments untill there is no noise after getting a rough positioning using your hands to manipulate the cone until it moves freely. There's a post with pics that explains it better somewhere 'round here. How should I get the magnet off? The glue didn’t fail, I think that it may have just been a defective unit or something, so the glue is still there. Where can I buy Red Loctite? I don’t think we have any, but I think we have some Blue Loctite in the garage, would that work? My tone generator only goes down to 10 hertz, and I can’t make it sweep back and forth, so do you know of one that is free and can do the sweep? I don’t think my equipment will let me play down to 5 hertz anyway, I believe there is a crossover in the Yamaha to cut that out. Blue loctite will not work. Blue is not a permanent glue like Red is. Ok, good to know, thanks. 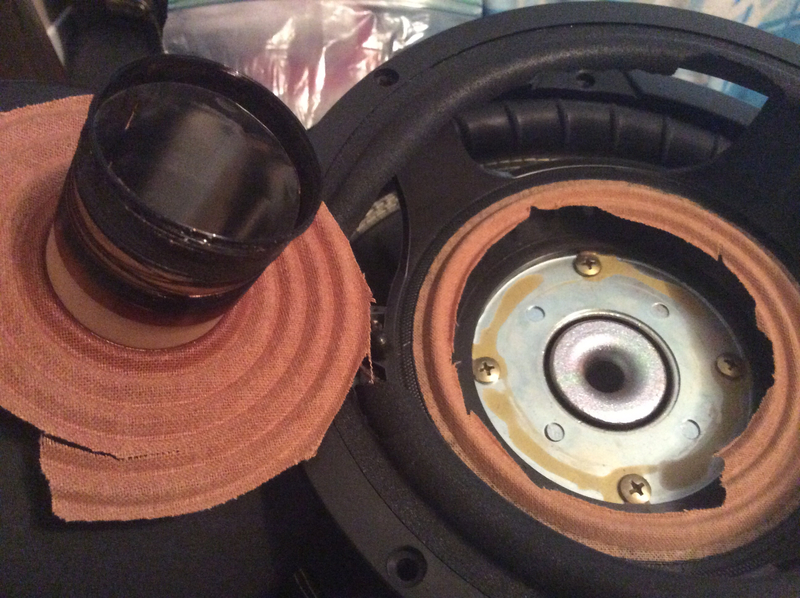 Definitely was not the cleanest speaker surgery I’ve ever done, but it looks like the pole piece is a little off center, so I think that is the culprit. And today it is much smoother throughout the excursion by the way, it doesn’t get locked anywhere throughout. So what do you suggest I do at this point? Hard to tell from the pic but at the 5 and 6 oclock positio. 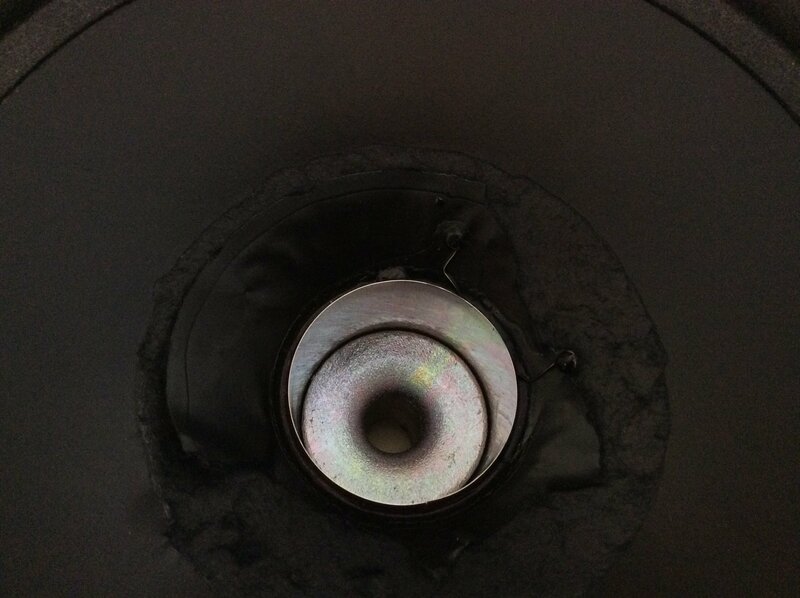 The voice coil former loos like it maybe bent. Im not sure but i wonder since you said it smells a little burt, then maybe it was overheated and warped to coil former. Just a shot in the dark there. Is there any way that a foreign object may have gotten in there? Vent on the back of the magnet go all the way through? 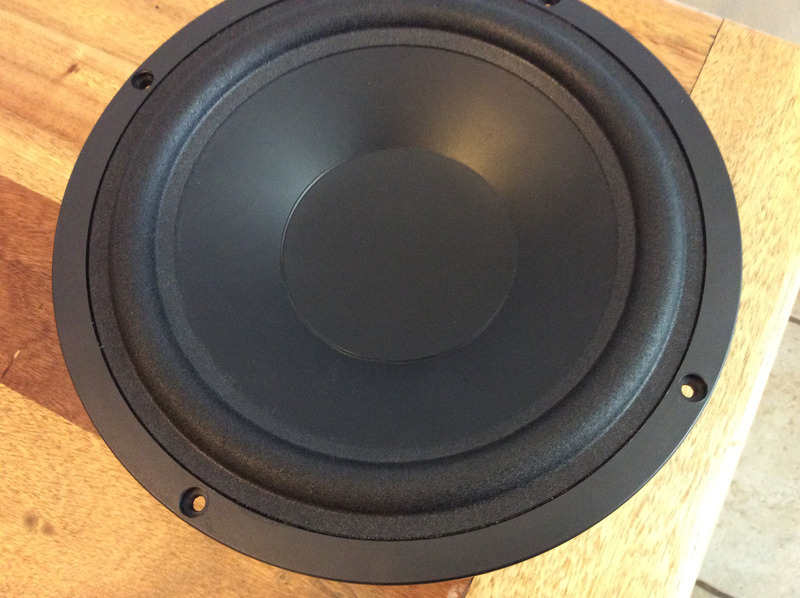 I have a pair of JBL 2245h 18 inch baskets and one has a shifted magnet. I did find a video on recentering. Let me see if i can find it. I gave up on mine and they are in the attic. Definitely possibility that to coil former is bent. I’ve pretty much given up on it, and it’s just sitting in the closet. I’ll watch that video later and give it a go. Thanks! Well. If you figure it out and want to try the JBL 2245h. Ill be happy to let you have it. 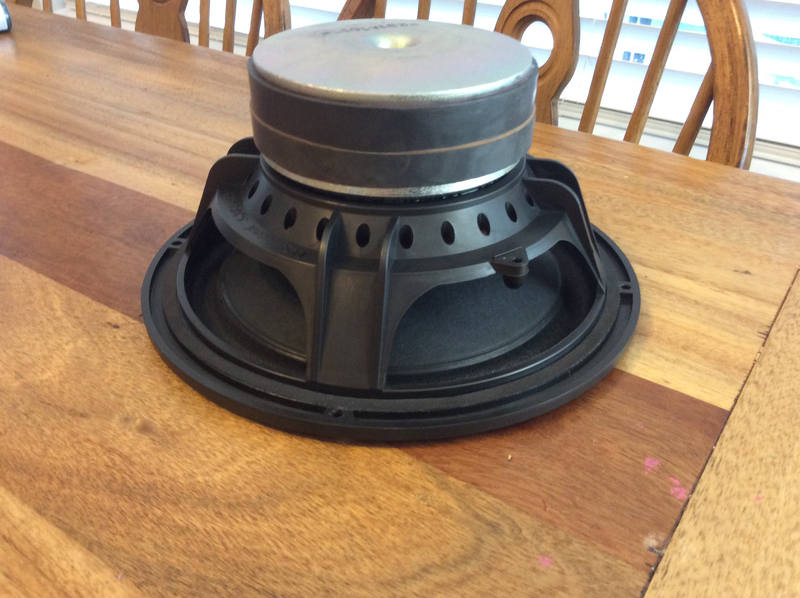 Entire cone kits with VC are avalible from midwest speaker and simply speakers. Simply speakers i think is in Tampa. Thanks for the offer, but I wouldnt have any need for them. Sorry that I didn’t fully reply, I had to quickly go and vacuum for my parents. I don’t think a foreign object could have gotten inside, because I pulled the dust cap off and pulled the driver to Xmax, and then stuck tape down inside the gap, and nothing came out. And the issue was still there when I was done. I was cleaning out my closet, and I found this sub. I realized I was never gonna actually do anything with it, so I decided to cut it open. 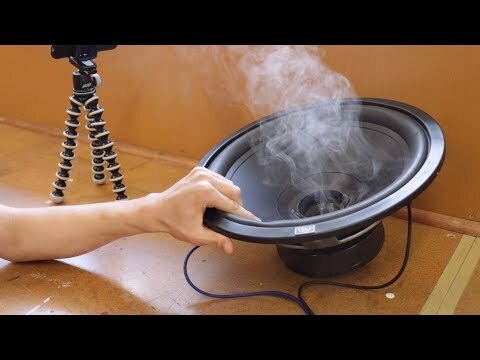 How would you like your voice coil cooked? Extra crispy! Lol i bet it smell awesome! Yep. My room still smells nice and smoky. I love the smell of coil in the morning.